Oh yes I know you all are blazing and enjoying the new Psiphon in Tweakware clothing nicknamed Tweakware mod. Alright, I will show you how to use it with Airtel 0.00 tweak. Am sure some people reading this are not aware that there is an Airtel tweak also that requires only 0.00 just like the MTN and Etisalat tweaks. 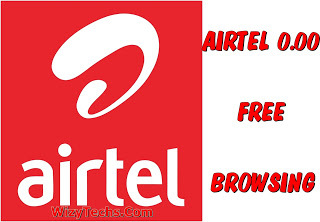 The only difference is that this Airtel tweak is not working on all Airtel SIM. Out of the different SIM I tested it on, only 4 was successful so the other two wasn't. So you can just give it a try if you have good Airtel network in your area as it can be your best free browsing tweak ever.